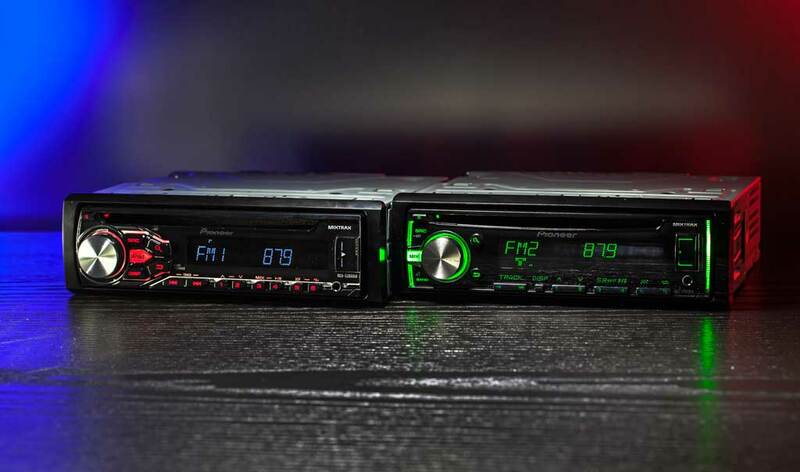 For the most part, the Pioneer DEH-X2800UI and Pioneer DEH-X3800UI single din radios are very similar. There are a couple of key features that differ. The DEH-X2800UI features only red button illumination while the DEH-X3800UI allows the user to select a Custom Color Illumination with over 200,000 options to match your factory dashboard illumination or to change it up and really set the mode in our vehicle. The DEH-X3800UI can be set to random color mix so that radio continuously changes color and can be combined with mixtrax for DJ inspired effects! Here we have the two radios side by side. The DEH-X2800UI on the left and the DEH-X3800UI on the right. Unlike the DEH-X2800UI the DEH-X3800UI has an external Steering Wheel Control Input. This allows you to use the Metra ASWC Steering wheel interface so that you can retain your original steering wheel control buttons so you don’t have to take your hands off the wheel to control the radio. Here we have the two radios above and below one another. The DEH-X2800UI on the bottom and the DEH-X3800UI on the top. 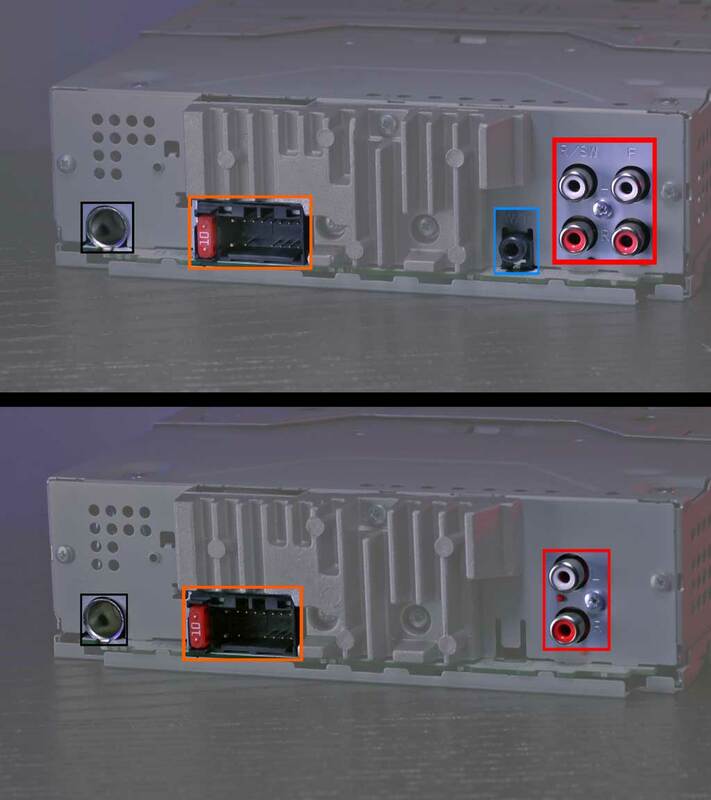 The DEH-X2800UI has 1 set of RCA Pre-Amp audio outputs while the DEH-X3800UI has 2 sets of RCA Pre-Amp audio outputs. 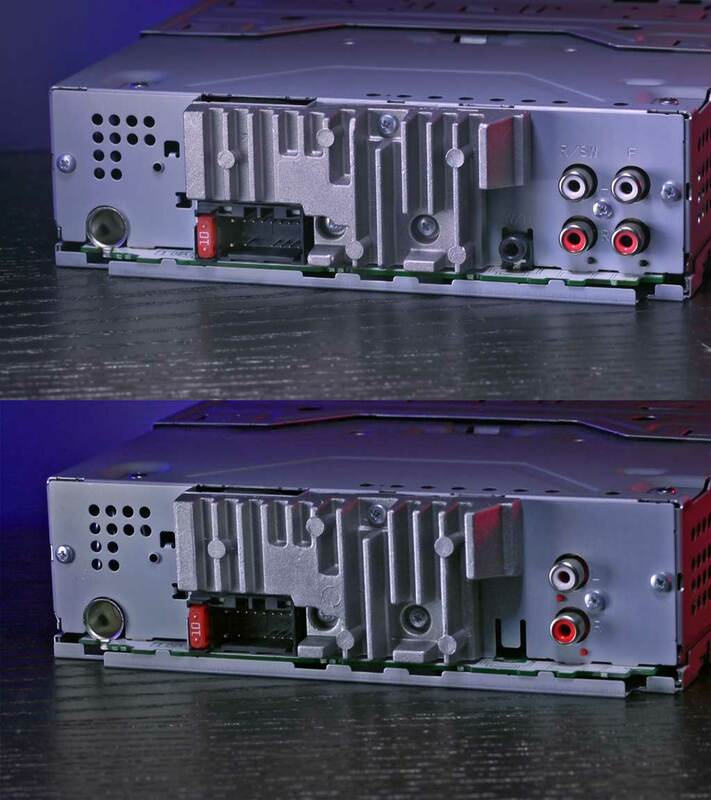 These pre-amp outputs are 2 volt outputs on both radios however the DEH-X3800UI allows for added flexibility when adding a 4 channel or multiple amplifiers. Here we have the rear jack panels highlighted. The DEH-X2800UI on the bottom and the DEH-X3800UI on the top.